What is long-distance caregiving? It can be helping Aunt Lilly sort through her medical bills or thinking about how to make the most of a weekend visit with Mom. It can include checking the references of an aide who’s been hired to help your grandfather or trying to take the pressure off your sister who lives in the same town as both your aging parents and her aging in-laws. 1. How will I know if help is needed? Uncle Simon sounds fine on the phone. How can I know that he really is? possible signs that support or help is needed. want to worry his nephew, Brad, who lives a few hours away, or he might not want to admit that he’s often too tired to cook an entire meal. But how can Brad know this? If he calls at dinner and asks “what’s cooking,” Brad might get a sense that dinner is a bowl of cereal. If so, he might want to talk with his uncle and offer some help. With Simon’s okay, Brad might contact people who see his uncle regularly—neighbors, friends, doctors, or local relatives, for example—and ask them to call Brad if they have concerns about Simon. Brad might also ask if he could check in with them periodically. When Brad spends a weekend with his uncle, he should look around for possible trouble areas—it’s easier to disguise problems during a short phone call than during a longer visit. your list, see if you can arrange for someone else to finish up. When you live far away, some detective work might be in order to uncover possible signs that support or help is needed. In addition to safety issues and the overall condition of the house, try to determine the older person’s mood and general health status. Sometimes people confuse depression in older people with normal aging. A depressed older person might brighten up for a phone call or short visit, but it’s harder to hide serious mood problems during an extended visit. 2. What can I really do from far away? My sister lives pretty close to our parents and has gradually been doing more and more for them. I’m halfway across the country. I’d like to help them and my sister, but I don’t feel comfortable just jumping in. find they can be helpful by handling things online—for example, researching health problems or medicines, paying bills, or keeping family and friends updated. Some long-distance caregivers help a parent pay for care, while others step in to manage finances. Caregiving is not easy for anyone, not for the caregiver and not for the care recipient. There are sacrifices and adjustments for everyone. When you don’t live where the care is needed, it may be especially hard to feel that what you are doing is enough and that what you are doing is important. It often is. 3. What is a geriatric care manager, and how can I find one? A friend of mine thought that having a professional “on the scene” to help my dad would take some of the pressure off me. Professional care managers are usually licensed nurses or social workers who specialize in geriatrics. Some families hire a geriatric care manager to evaluate and assess a parent’s needs and to coordinate care through community resources. The cost of an initial evaluation varies and may be expensive, but depending on your family circumstances, geriatric care managers might offer a useful service. They are a sort of “professional relative” to help you and your family to identify needs and how to meet them. These professionals can also help by leading family discussions about sensitive subjects. For example, Alice’s father might be more willing to take advice from someone outside the family. The National Association of Professional Geriatric Caregivers can help you find a care manager near your family member’s community. 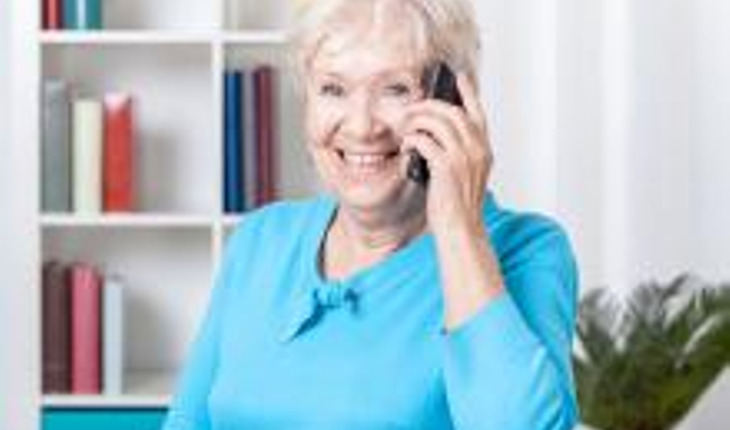 You can also call or write the Eldercare Locator for recommendations. In some cases, support groups for diseases related to aging may be able to recommend geriatric care managers who have assisted other families. 4. My friends who have been caregivers say that a lot of what they did was organizing paperwork. Is that a good way to be helpful? Yes. That’s one way that a long-distance caregiver can be a big help. An important part of effective caregiving depends on keeping a great deal of information in order and up-to-date. Often, long-distance caregivers will need access to a parent’s personal, health, financial, and legal records. If you have ever tried to gather and organize your own personal information, you know what a chore it can be. Getting all this material together is a lot of work at first, and from far away it can seem even more challenging. But once you have gathered everything together, many other caregiving tasks will be easier. Maintaining current information about your parent’s health and medical care, as well as finances, home ownership, and other legal issues, lets you get a handle on what is going on and allows you to respond more quickly if there is a crisis. If you do not see your parent often, one visit may not be enough time for you to get all the paperwork organized. Instead, try to focus on gathering the essentials first; you can fill in the blanks as you go along. You might begin by talking to your parent and his or her primary caregiver about the kinds of records that need to be pulled together. If a primary caregiver is already on the scene, chances are that some of the information has already been assembled. Talk about any missing information or documentation and how you might help to organize the records. It is also a good idea to check at the same time to make sure that all financial matters, including wills and life insurance policies, are in order. It will also help if someone also has a durable power of attorney (the legal document naming one person to handle financial and property issues for another). healthy, do we need to talk about that now? For most of us, talking with people about the kind of medical care they would want if they are seriously ill and unable to make decisions can be difficult. But, when the conversation is with someone close to you, it can be many times harder for everyone. Yet, it’s important to be prepared, especially in case of unexpected illness. preferences. For some families, a conversation about, for example, who would like Grandma’s china could be a gentle way to start the discussion. Would you rather begin on a less personal note? Discussing a TV show, newspaper article, or movie might be the way to start. record allows your parents to receive the care they want. It may also help avoid some of the conflicts that can occur when family members disagree over treatment decisions. Advance care planning is often done through an advance directive, which includes verbal and written instructions about future medical care. There are two types of advance directives—a living will and a durable power of attorney for health care. A living will states in writing what kinds of life-sustaining medical treatments, if any, a person wants if he or she is unable to speak or respond and at risk of dying. A durable power of attorney for health care names someone to make medical decisions in that same type of situation. This person, called a healthcare proxy, can decide on care based on what he or she knows the patient would want. It is vital for your parents to discuss their wishes with the healthcare proxy. to understand the treatment choices, know your parents’ values, and support their decisions. Advance directives are not set in stone. You might want to let your parents know that they can revise and update their instructions as often as they wish. Patients and caregivers should discuss these decisions—and any changes in them—and keep the healthcare team informed. Consider giving copies of advance directives to all caregivers and to your brothers and sisters. Keep a copy at home as well. Because state laws vary, check with your Area Agency on Aging, your state department of aging, or a lawyer for more information. Whoever is chosen to be a healthcare proxy should be able to understand the treatment choices, know your parents’ values, and support their decisions. This article is excerpted from So Far Away, a publication of the National Institute of Aging.